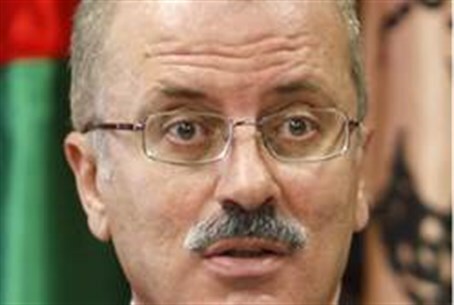 PA Chairman Abbas accepts Hamdallah's resignation. 'Abbas wanted 'yes man' with no powers,' PA source says. After days of trying to convince him otherwise, Palestinian Authority Chairman Mahmoud Abbas announced he has accepted PM Rami Hamdallah’s resignation. The move leaves the Palestinian Authority with a chairman serving beyond his official term of office, without a prime minister, and without a finance minister. It is unclear who Abbas will try to appoint next to the post. A senior PA official told the AFP news agency the Hamdallah resigned due to disputes with two of his deputies. But reports earlier in the week made it clear the dispute originates with Abbas himself, and a disagreement over authority – the same dispute over which Abbas himself quit the post when his mentor, PLO Chairman Yasser Arafat, held the position he now holds. The resignation came two weeks after Hamdallah accepted the post in the wake of Salam Fayyad’s resignation, who also left the position after numerous power struggles with Abbas. Both men are highly qualified economists respected by the international community. The two deputies involved in the dispute were Muhammad Mustafa – director of the PLO Palestine Investment Fund – and Ziyad Abu Amr, both of whom were Abbas deputy prime ministerial appointees. “Hamdallah discovered that the Palestinian Authority president wants him to serve as a ‘yes man’ with no powers,” explained the source.